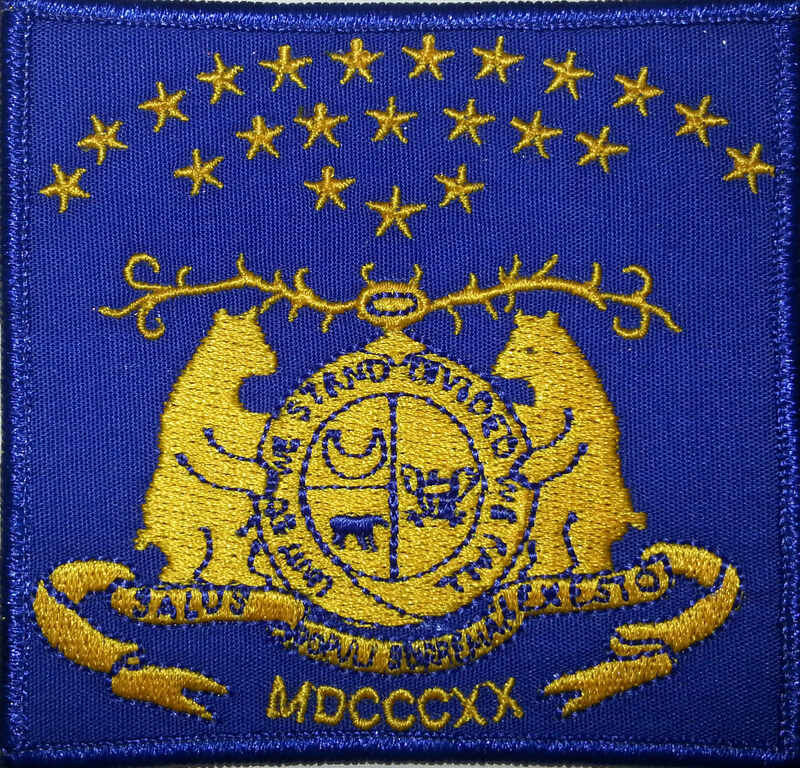 The Missouri State Guard Flag was the adopted flag of a newly organized State Guard. Due to the Camp Jackson Massacre, which took place on May 10, 1861, Missouri needed defense from Federal occupational invaders. The Military Bill was passed by the Missouri State Legislature on May 11, 1861. The bill authorized Governor Claiborne Fox Jackson to disband the Missouri State Militia and reform it as the Missouri State Guard. The MSG was designed to protect Missouri from federal invasion and atrocities. The state was divided into nine Military Districts, each of which were to raise a Division of troops. Overall command of the Missouri State Guard was given to Missouri Confederate General Sterling Price.